I love studying God's Word. The more I study, the more I love It. The more I love It, the more I want to study. The more I study, the more I love. It's a beautiful cycle really. I guess you could call me somewhat of a Word nerd. That's what this month's Illustrated Faith kit is all about! 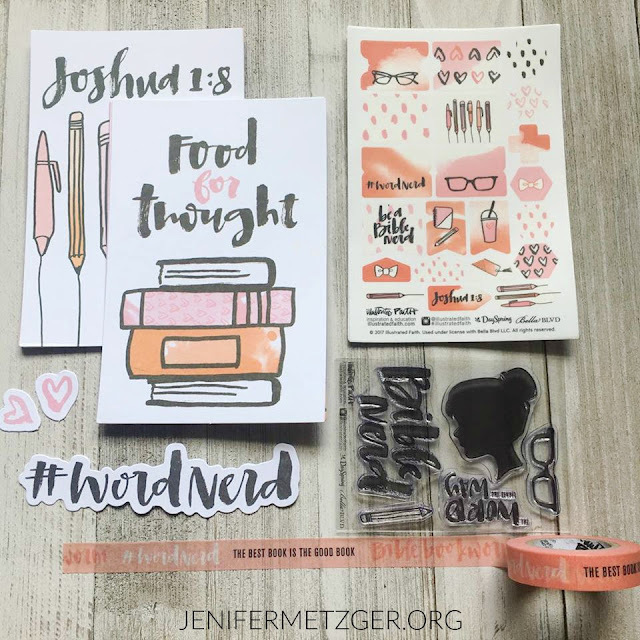 The Word Nerd kit is for those who love studying God's Word, want to understand the Word better, and enjoy expressing all they discover in the Word with colors and creativity. This totally describes me! I love to study the Word, I deeply desire to understand it more, and I love color so much! Does it describe you too? 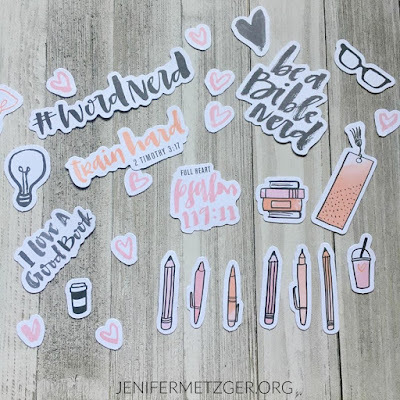 In the Word Nerd kit, Illustrated Faith creator Shanna Noel takes us on a journey through different Scriptures as we read and mediate. She encourages us to ask the Holy Spirit to reveal truths through His Word that will empower us to live differently. There are 4 weeks and 4 different devotional and journal cards. Each card gives a brief devotion. At the end of the devotion there is an action, either questions to ponder or something to do. Then the journaling card has a Scripture to look up with space to write out our thoughts, what we feel God revealing to us, questions we have to mediate on, or our prayers. 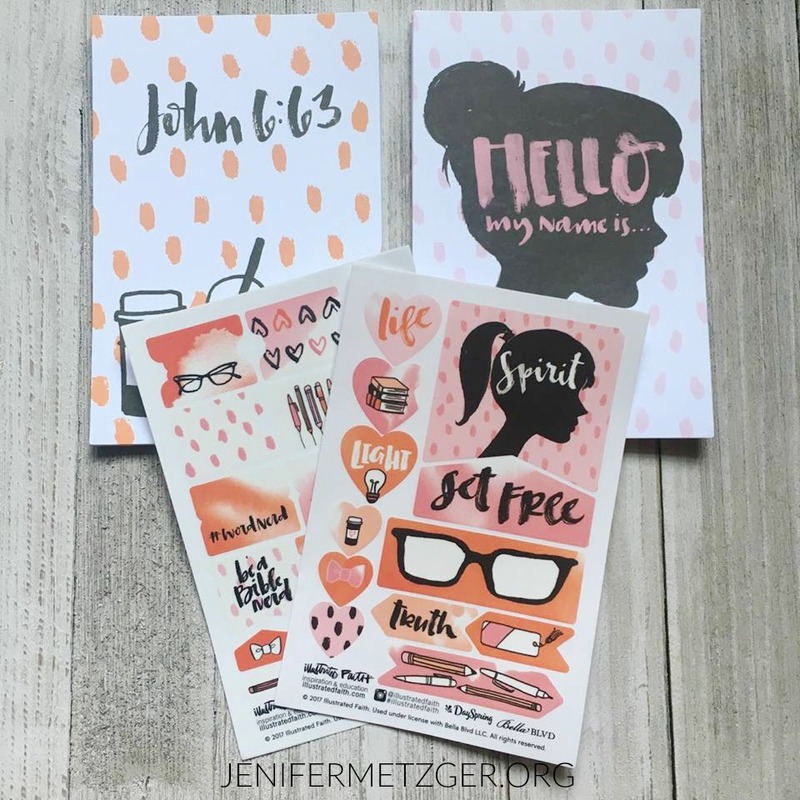 The kit also includes some incredible journaling supplies for your Bible, journal, planner, or the journal cards that are included. Some of my favorite items in the kit are the stamps and the washi. I love washi so much! There are so many great uses for it. If you need ideas, just search "washi tape uses" on Pinterest! I love adding washi to my journal pages as well as my agenda planner for a pop of color as well as an inspirational message. 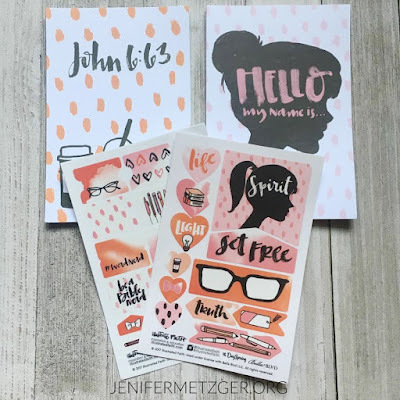 The clear stamps are so fun because you can mix the ink colors for a colorful pop, then you can stamp a little for a subtle pop or stamp a lot for a bold pop. The Word Nerd kit has been so fun to play with as well as so inspiring as I dive into the devotions. 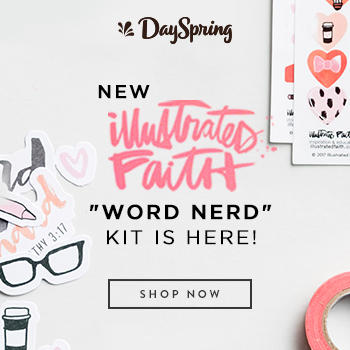 If you love studying God's Word or if you are brand new to studying, this kit is for you. 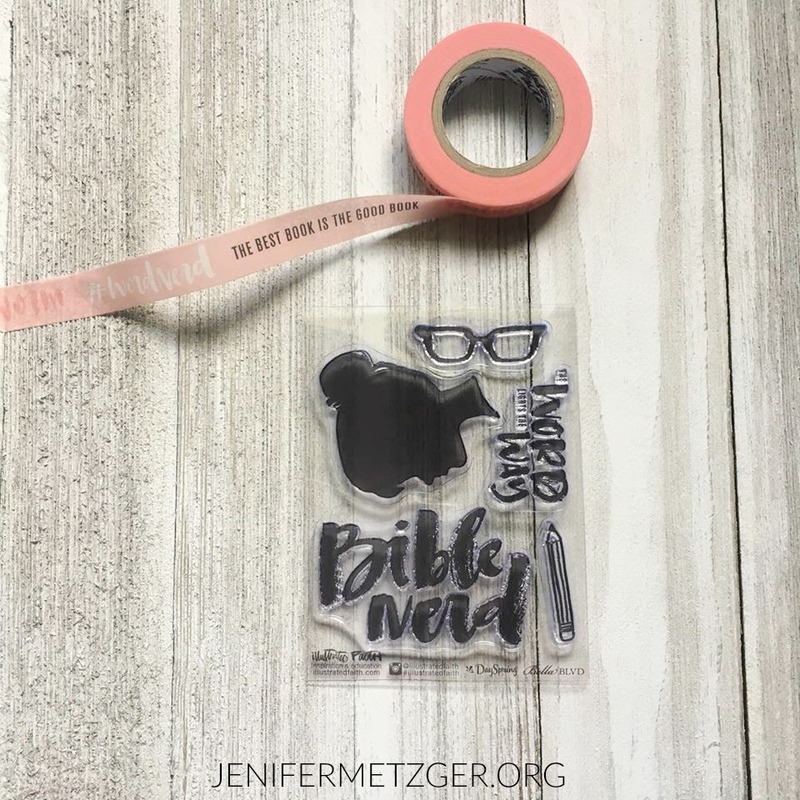 If you are a seasoned Bible journal-er or you are hesitant to take the plunge, this kit is for you. 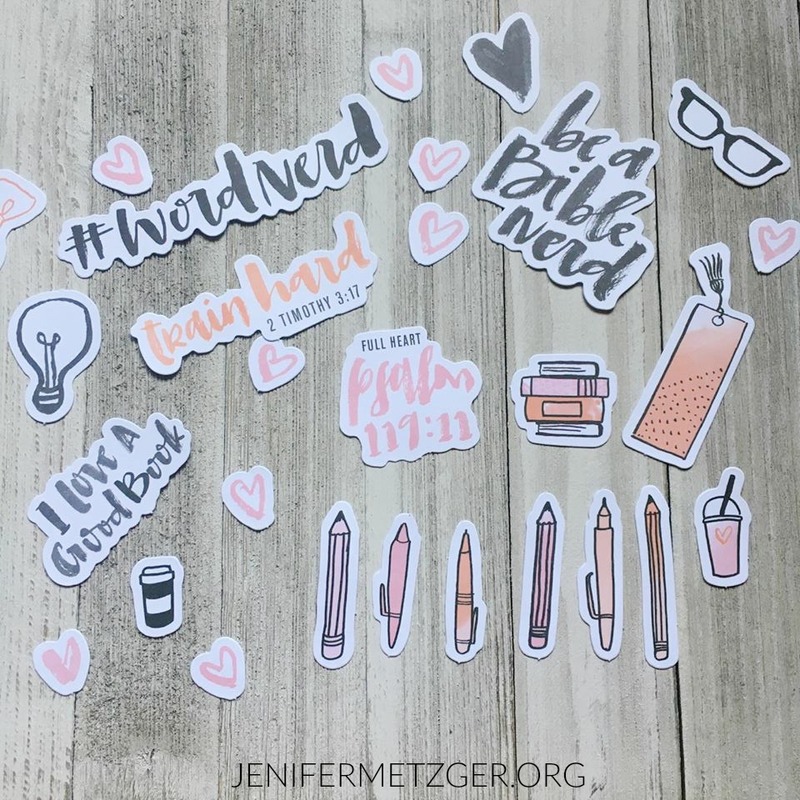 Click the image below and pick up your Word Nerd kit today.